Trailer sway, that side-to-side fishtail movement, (Figure 1) occurs when there is a force perpendicular to the tow vehicle and trailer trajectory, applied to the hitch ball. An important factor in controlling sway is the amount of tongue weight applied to the hitch ball, and how that weight is distributed to the tires on the tow vehicle. A general rule is trailer tongue weight should be 10 to 15% of the fully loaded trailer weight, for trailers weighing over 2,000 pounds. If the tongue weight (what generates friction to the tow vehicle rear tires) is properly distributed to the rear tires of the tow vehicle most lateral forces encountered will not be sufficient to start sway. If the lateral forces do overcome the tire friction trailer sway will start. This would be a good time to include an analysis of tow vehicle and trailer traffic speed. As speed increases, tire traction decreases with a corresponding increase in the possibility of trailer sway. At 60 mph, and under wet road conditions, a weak lateral wind may start a lateral trailer displacement. Natural trailer balance, when travelling, may be understood as a vertical pendulum, but in the opposite direction (Figure 2). The trailer sway is similar, but the displacement is horizontal, over the road, with the trailer (and the tow vehicle by consequence) going from one side to the other many times. If the trailers vertical stabilization, associated with the suspension, is working properly it helps in preventing small sways. Weight distribution bars reduce vertical displacements (swings) and transfers the hitch weight to the vehicle and trailer tires. This results in the rear tires gripping the road better, and may avoid these sideslips. So, it is important, before leaving on a trip, that we complete a checklist of all items associated with the tow vehicle and trailer stabilization. These checks would include inspecting items like tires, weight distributing bars, proper hitch adjustments, the trailer and tow vehicle suspension systems, and that all cargo is distributed evenly. If these items are not in a good shape, it will decrease the speed that we can safely travel at. There is another very important item associated with sways, and that is the number of trailer axles. Compared to one axle, two trailer axles increases the number of wheels 100% over the ground, and by consequence the increased tires gripping the road decreases the chance for sway. Another peculiarity associated with one axle is the vertical motion (front-back direction, referred to as porpoising) associated with vehicle brake activation (Figure 3). In this situation the trailers front end will tend to push downward. This vertical downward motion enhances the tow vehicles back wheel traction, but decreases the front wheel traction, and the forces applied in the opposite direction (up) will reduce the tow vehicles rear wheels traction. Depending upon total weight balance, the tow vehicle and trailer may start a back or front sway and the tow vehicles front motion control will be compromised. It is well known that for both single and dual axle trailers, the larger the trailer is the more unstable it is when talking about porpoising. Proper hitch work can mitigate some of this from occuring. Adauto is a Petroleum Geologist/Geophysicist close to being retired. Since 1978 he has been a camping enthusiast, starting with tents, then a pop-up, travel trailers and now has a Class A motorhome. (I have been through the same RV progression, and around the same time frame as Adauto). He is a member of a regional RVing group in Rio de Janeiro State called “Amigos do Rio RV Group (Rio’s Friends) (Brazil)”. 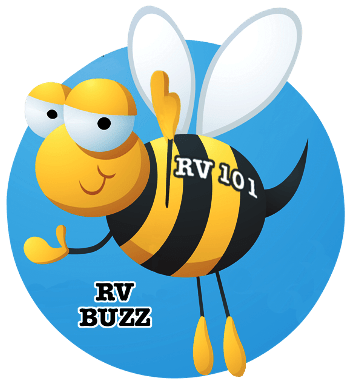 Adauto has been researching and compiling free RV information for other RV enthusiasts in Brazil, since they do not have a bibliography about RVing in Brazil. 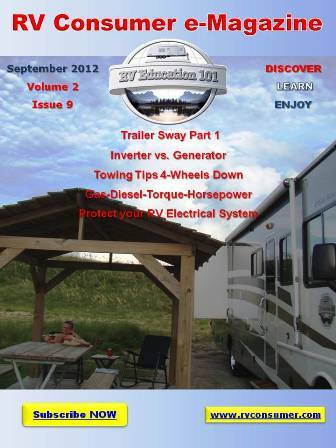 He was working on a trailer sway article when he contacted me, to help educate some of the RVers in his group on sway issues. He wanted to know if I would be interested in working together with him on the article. At times it was a bit difficult to tranlate what each of us were saying to each other, but I think we figured it out.